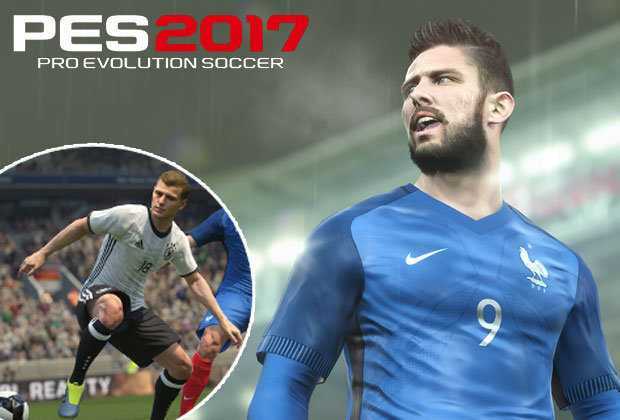 Pro Evolution Soccer 2017, popularly known as PES2017, has debuted on mobile phones with full console experience. Konami released the Mobile version of PES2017 early this week, eight months after the launch of flagship console variant. The game has undergone thorough testing for almost six months following the release of the beta version back in December, promising a smooth play. PES2017 Mobile is free-to-play with optional in-game acquisitions for iOS and Android powered smartphones. A massive 1.5GB download proves how close the game is to its console series cousins. With such load, not every phone can install the game, leave alone running it. You will need a high-end device or a mid-tier gaming-oriented phone for a smooth unperturbed gaming, otherwise, entry-level handsets are out of the equation while most standard mid-range smartphones would struggle. Unsurprisingly, 250MB of match-day commentary is not part of the hefty 1.5GB, for good reasons of course. The commentary pack is available in a number of languages that waits for you to choose your preferred one then loads in-game. In spite of everything, PES2017 Mobile runs smoothly on capable phones without taking much horsepower from your gadget to a point of heating up. On launch, you go through PES2017 Mobile basic controls on how to press for the ball, shoot and pass. Advanced controls include teachings on a slide tackle, through pass, looping pass, and so on, but they are not showing at the start to get you into action faster. Apart from the standard classic on-screen buttons, the developers have invented a new control scheme that blends perfectly with mobile play-style. The new scheme sees you swipe the screen in different ways to complete commands. After the basics controls, you get into your first match, exhibition match, playing against licensed outfits Borussia Dortmund, Barcelona and the likes. 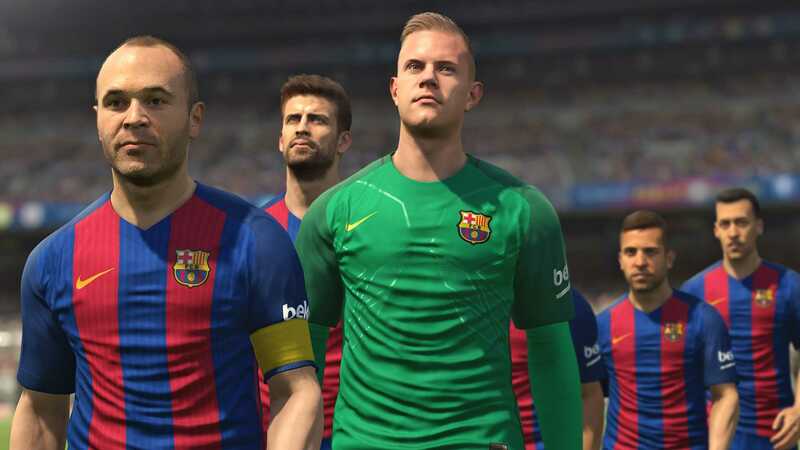 The match is an easy one for regular gamers and most gamers who have tried out PES2017 Mobile have confessed winning the matches with wide margins. But there is a problem, there is no option to change difficulty, sad. More disappointing is the fact that you don’t get the privilege to use real-world teams to play the exhibition matches. Through the campaign season, you play 10 matches against computer-controlled outfits and not against other users as in FIFA Seasons. The challenge gets tougher as you get promoted to higher leagues. The simulation version of the mode lets you play management role as both teams playing are AI-controlled, which is a good thing for newbies who won’t mind learning a thing or two from the way AI plays. There is also a multiplayer mode where you can challenge other users in local and online matchups. PES2017 Mobile Events mode sends you into challenges that disappear after some time, some last a day, others vanish after a week. Konami has also set challenges around real happenings around football like the imminent UEFA Champions League final where Real Madrid will entertain Juventus in Cardiff. You gather myClub coins if you win an event match in the first attempt while a success in the subsequent shots nets you GP coins. MyClub is Konami’s money-making aspect in PES2017 mobile and the developer’s version of FIFA’s Ultimate Team. After playing an exhibition match in the opening stages, you are a given a weakened squad with players of ratings in the mid-60s. This is where myClub and GP coins come into play – they are key to strengthening your team. GP coins are earned solely from playing while myClub coins are acquired from completing specific tasks or bought with real cash. You can easily weave your way to success by collecting myClub coins which can buy Special Agent who lands you specials players. However, there is a limited number of matches that you can play back-to-back due to an Energy bar which is 100 at the start, drops with 20 after each game and recharges by 1 after every 15 minutes. That’s a whole day for a full recharge! Konami is simply making you spend on myClub coins for faster recharge. It’s quite saddening that signing a player in PEES2017 Mobile is down to a lucky draw where a drum rotates at a high speed with three balls of black, gold and white colors and the selection point in the middle. The color you land on determines the caliber of player you sign, black being the highest and white the lowest.